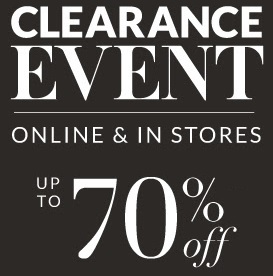 Clearance event is on at Lane Bryant stores in the U.S. and online. New markdowns just added! Possible to save up to 70% off retail prices when you take an additional 20% off already reduced clearance prices. Use code: LOVEITLB. Time limited offer. Source of the information is Lane Bryant. More information about the sale at Lane Bryant stores in the U.S. or online.